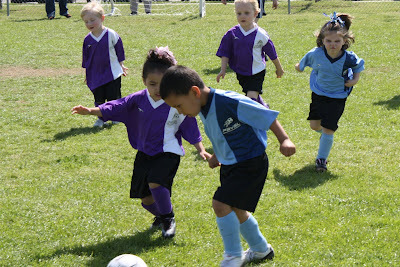 Finally Ella had her first soccer game! 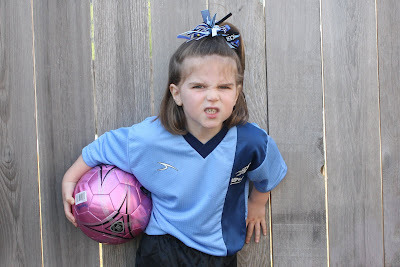 She was ready to play and put on her game face! 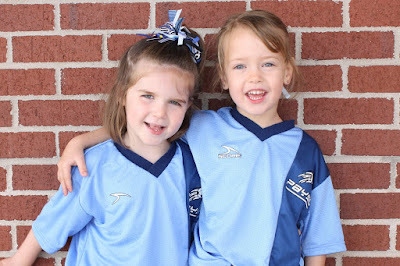 Ella is on the WildPfire team with her best friend, Anna Richardson. Aren’t they precious? With a little bribe from daddy, (if she doesn’t cry she gets to have ice cream! 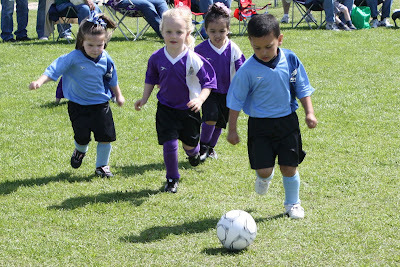 ), our little girl ran the field with gusto! Watch out! Here comes Ella! 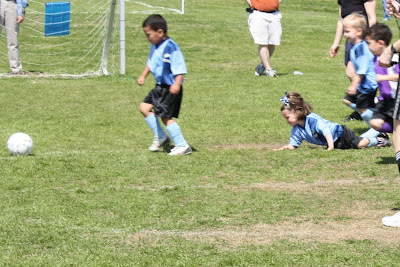 She even took a hard, face-planting tumble! 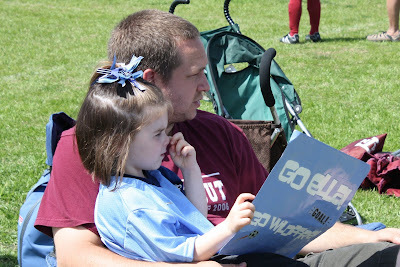 We were so proud of our Ella! And poor Asher and Caden, (Anna’s little brother.) 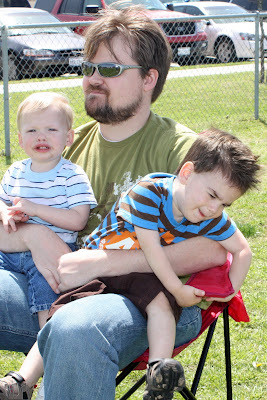 It’s torture to hold toddler boys back from running around grassy fields with a ball! But alas, Jeff managed quite nicely!